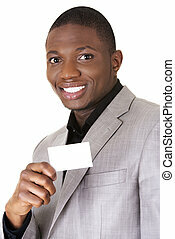 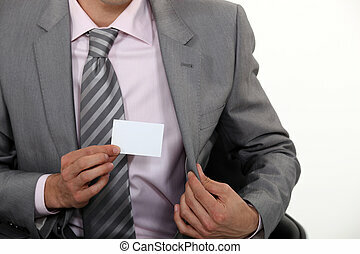 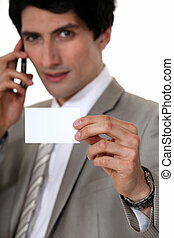 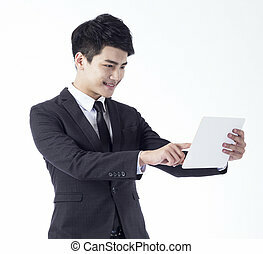 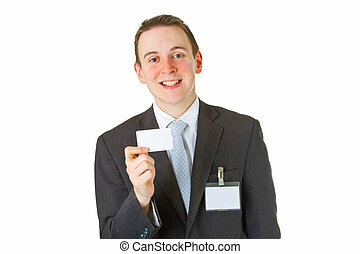 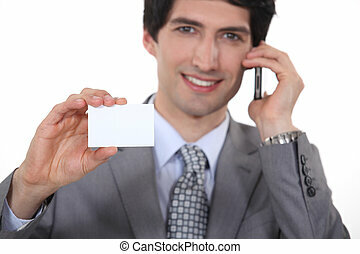 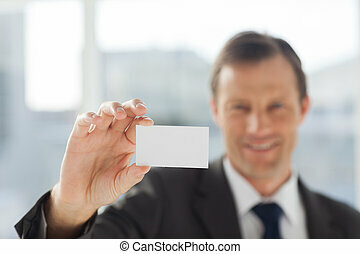 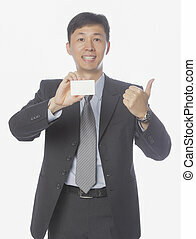 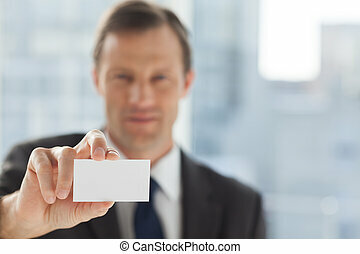 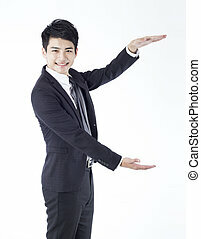 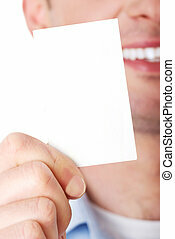 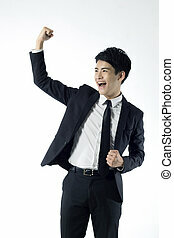 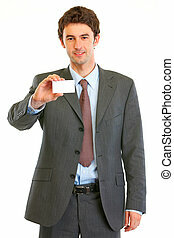 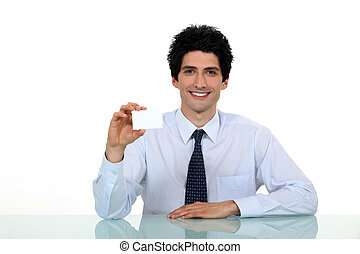 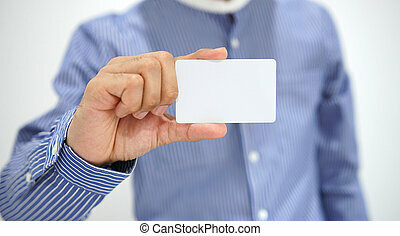 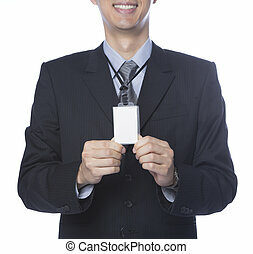 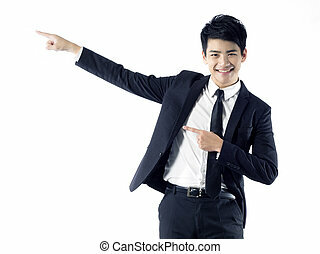 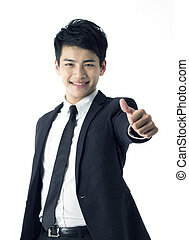 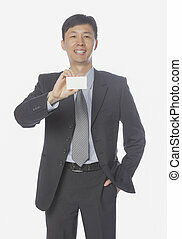 Portrait of professional young businessman showing business card with smile. 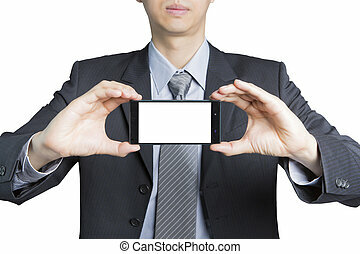 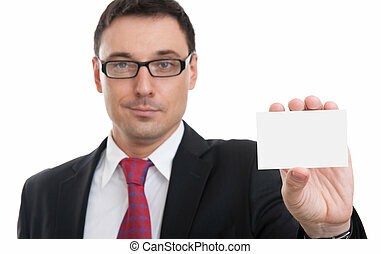 Handsome businessman holding placard, blank placard for edited. 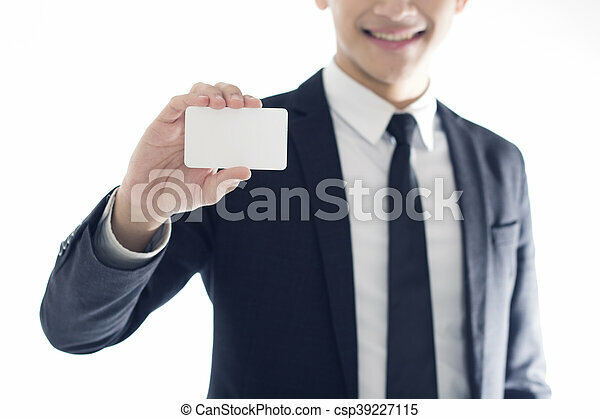 Man with smile on his face. 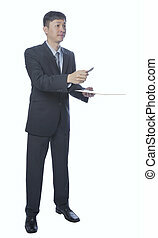 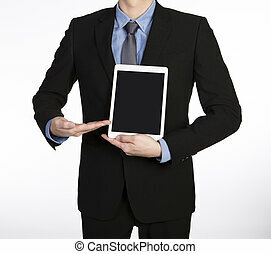 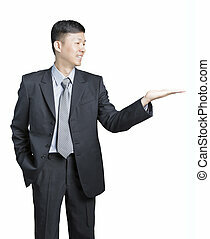 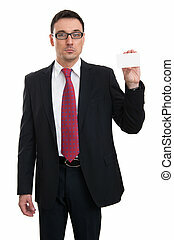 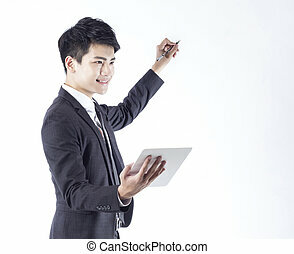 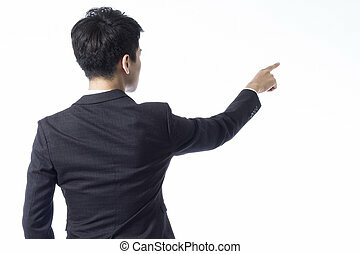 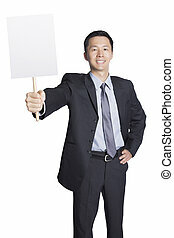 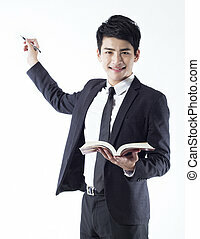 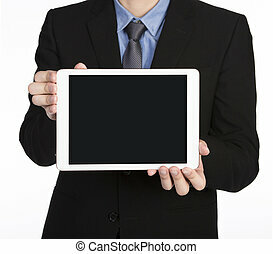 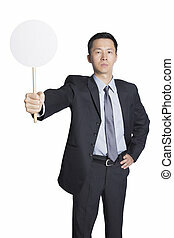 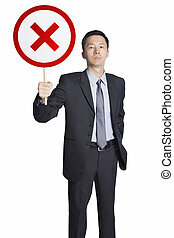 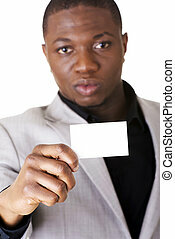 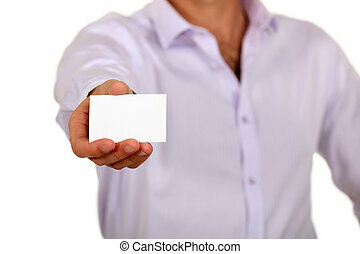 Handsome businessman holding placard, blank round placard for edited. 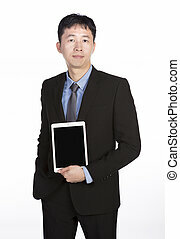 Man with serious face. 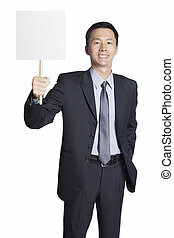 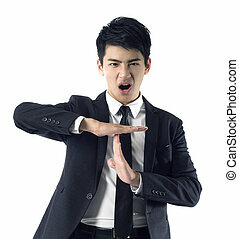 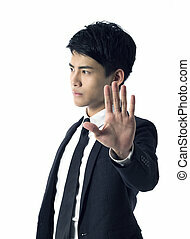 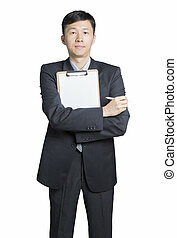 Businessman holding wrong sign, Man with serious face.